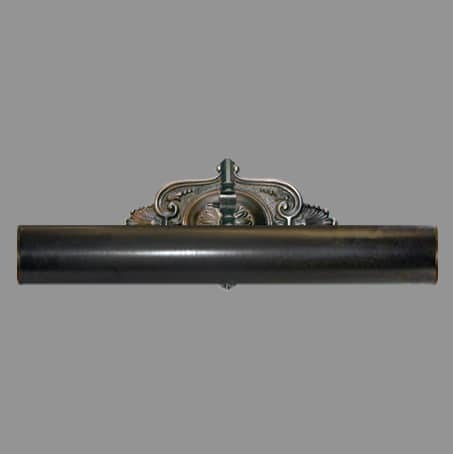 Antique finish 320mm Picture light with decorative wall plate. Manufactured by David John Lighting Company in the UK. These Picture Lights are manufactured in various sizes.